As part of the first module for the MSc in Multimedia and E-Learning I have been asked to design and create a resource that can be used as part of my regular practice. 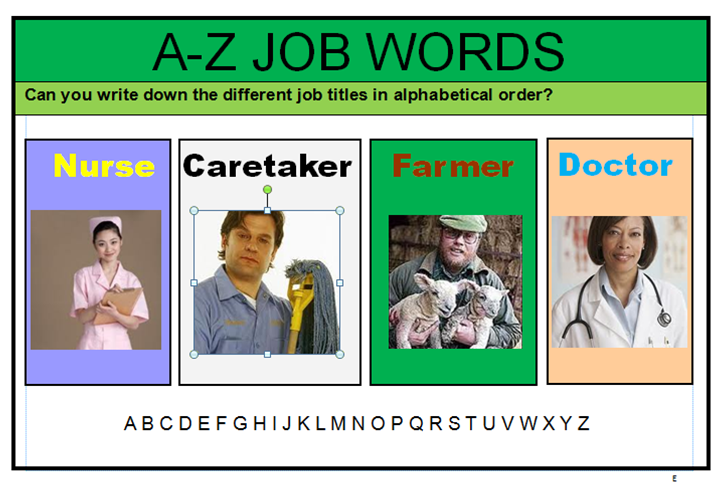 From the design rationale page on this blog you can see that I decided to create an alphabetical ordering resource for adult literacy learners. Pasted below is the final copy of the resources. The publisher based documents have been designed for the students to print off then write their answers down using seperate pen and paper. 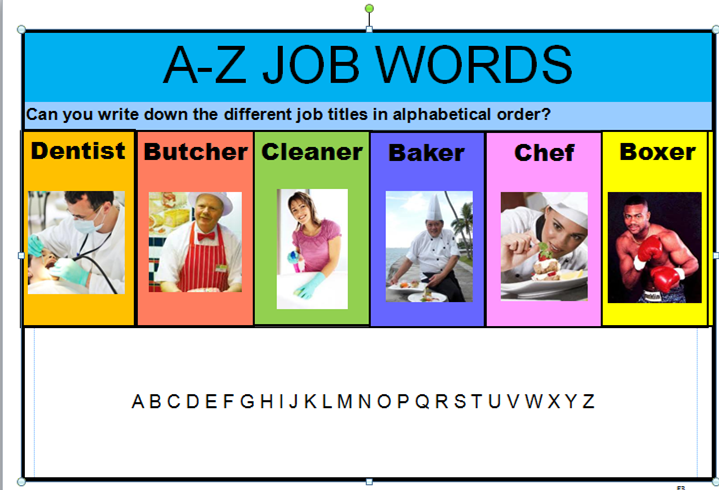 Audio versions on the E2 and E3 resources have also been created using Power Point. If students struggle this version of the resource has audio buttons so the students can hear the instructions and words being read out. 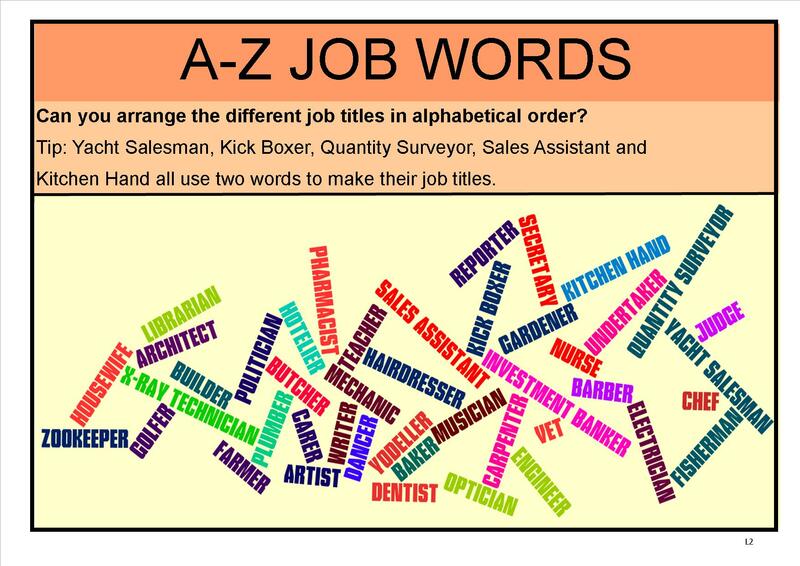 Copies of both the printable and audio versions of these resources have been uploaded to Skills Workshop and will be available to download shortly. 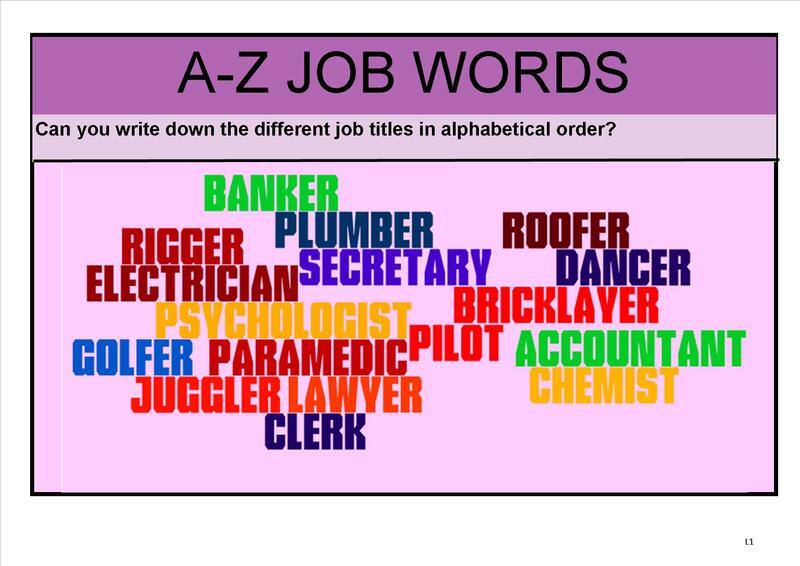 This entry was posted in Resources and tagged A-Z, Jobs by Gemma H. Bookmark the permalink.